Though many have probed if Women’s Day still remains valid and important to celebrate after 41 years from the initiation. Well, in our opinion it is very important that we still celebrate Women’s day and give them the respect they deserve for a lifetime. Here are 5 reasons why Women’s day remain valid and important in the world full of chaos. >Pay discrepancy between men and women: It is recently discovered that the pay parity between men and women still subsists. Many kinds of research still prove that in the same job role, almost 75% of men still earn more than women. >Objectification: Every day 60 percent of women are being objectified and there is no voice to support them and make them feel safe. >Because we don’t celebrate who we are enough: Women are often called ‘arrogant’ for showing a little confidence. It appears more informally acceptable to hate your body, rather than love it. >Building a support system: If women in the world work towards the betterment of their own gender, they can take over the world. 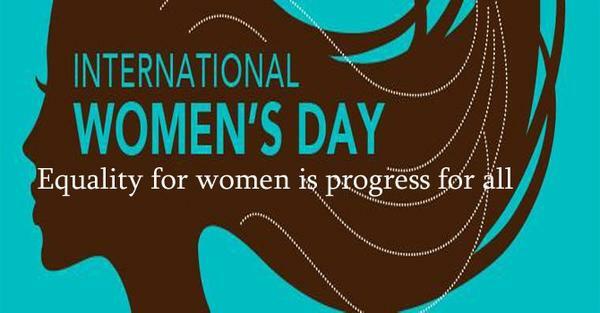 We as humankind should be supporting and celebrating each other’s successes irrespective of the gender. >Because the power of balance is still male heavy: It is still a man’s world. There is a continuous stereotype that women cannot be anything more than just that, a woman. So, the above reasons are evident enough to make sure that we celebrate Women’s day to show some gratitude and respect for women-kind. 5 Things Women do Better than Men! This Women's Day, Sonam Kapoor is asking all the important questions that we need to raise too!